Happiness is one of life’s Most Important Question. Every person on this planet wants to be happy – there are no exceptions. Happiness is the cause of good things in life – the source of wellbeing. Happy people are healthier, and live longer. They love more and fear less, and are more positive and optimistic about life. Happiness is not just good mood, it’s preventive medicine! Mindfulness is a set of practices to help you develop an extraordinarily capable mind that is profoundly peaceful, happy, and compassionate. It is the gateway to happiness. With mindfulness, you can better succeed in life, gain deeper awareness of your own emotions and that of others, listen better, become calmer and happier, improve concentration and creativity, enhance self-confidence, empathy and social skills. With mindfulness you can tap into the mind’s inherently unlimited potential, connect with your inner-being, and enjoy the fullness of each moment of life – enriching your physical and emotional wellbeing. Mindfulness guided by wisdom of the heart is the wellspring of your imagination, inspiration, intuition, joy, creativity, and profound happiness. In this talk, Yen-Lu will guide you on this inner journey - and hand you the keys that will help unlock the doors to your deepest wisdom, wellbeing and happiness. 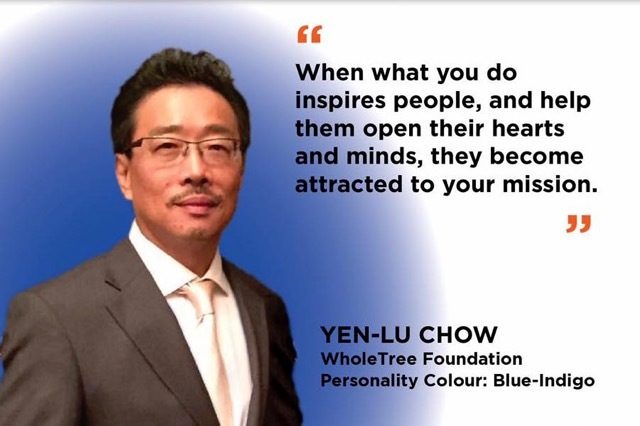 Biography: Mr Yen-Lu Chow is the co-founder & executive chairman, WholeTree Foundation/Over-The-Rainbow, co-founder & chairman, Singapore Creations Etc, managing partner, WholeTree Ventures, and a founding partner, Fatfish MediaLab. He has worked in the technology, media, and venture capital industries for 35 years. A former Apple Distinguished Technologist, Yen-Lu is a successful entrepreneur with multiple tech start-ups and an active angel investor, having spent many years mentoring and advising entrepreneurs and young businesses. He served as executive mentor and adjunct professor to NUS Enterprise, serves as mentor to INSEAD, NUS, SIM, SMU, and on numerous panels on entrepreneurship and innovation internationally, while advising the government on such matters. As a social entrepreneur, student of spirituality and seeker of truth, Yen-Lu understands the importance of mental wellness as a life priority. He has given numerous talks and been featured in the media on this issue. He believes that every young person has a voice, an innate gift, and deeply held aspiration - that needs to find creative fulfilment. And when we nurture the seeds of these innate gifts with attention, acceptance, and love - and by providing the right environment, and giving it purpose - these seeds sprout and grow, and the human spirit with its deepest aspirations finds fulfilment. Everyone can embark on this journey of self-discovery, healing and transformation, to attain true happiness and optimal wellbeing. The World Happiness Report is a landmark survey of the state of global happiness. The World Happiness Report 2017, which ranks 155 countries by their happiness levels, at an event celebrating International Day of Happiness. The report is the fifth one to come out since 2012 by the United Nation. , it reflects a new worldwide demand for more attention to health and happiness as criteria for government policy. This also calls upon science and technology in both natural and social domains to be developed for promoting a happy and healthy lifestyle in our modern society. To meet such a world trend, the Orange Technology research has been first proposed in National Cheng Kung University in Taiwan in 2008. The Orange Technology refers to a newly evolved interdisciplinary research area for integration and innovation of health, happiness, and care technologies. The research scope includes computer science, electrical engineering, biomedical engineering, psychological/physiological science, cognitive science, and social science. The representative color of Orange Technology originates from a harmonic fusion of red (representing brightness of health and happiness) and yellow (representing warming care). Instead of emphasizing the relations between environments and humans, as proposed by green technology, the objective of Orange Technology will explore the innovative technologies to bring more health, happiness, warming care, and more mental wellness to the society. Concerning about the development of artificial intelligence, there are three main waves of development in the history. The first main wave of artificial intelligence was proposed in 1940s, and the first digital computer was invented at that time. The second main wave of artificial intelligence was proposed with the development of artificial neural networks and the expert system in 1980s. The current third wave of the artificial intelligence with the development of IOT & big data technology will make a greater impact on the world in 21st century. We will demonstrate several popular AI robots and discuss their functions and applications as well as their limitations for the orange technology. In addition to health informatics, the Happiness Informatics Research is also newly proposed accompanying with Orange technology. It will first sense the happiness behavior of the human being to get the happiness signals such as EEG brain signals, smiling sound signals & smiling face images etc. Then the information technology such as pattern recognition technique will be applied to detect & measure the happiness degree of the behavior based on the input signals. Finally, the system will give the suitable positive feedback to improve the happiness degree of the user. Biography: Prof Jhing-Fa Wang is currently the President in Tajen University, Chair & Distinguished Professor in the Department of Electrical Engineering, National Cheng Kung University (NCKU). He got his bachelor and master degree from NCKU in Taiwan and Ph. D. from Stevens Institute of Technology USA in 1973, 1979 and 1983 respectively. He is the formal chair of IEEE Tainan Section in 2005-2009, the Coordinator of Section/Chapter, IEEE Region 10 in 2011-2012 & the Industry Liaison-Coordinater of IEEE Region 10 in 2009-2011. He was elected as IEEE Fellow in 1999 for his contribution on: "Hardware and Software Co-design on Speech Signal Processing", He was also the general Chair of ISCAS 2009. He received Outstanding Research Awards and Outstanding Researcher Award from National Science Council in 1990, 1995, 1997, and 2006 respectively. He also received Outstanding Industrial Awards from ACER and Institute of Information Industry and the Outstanding Professor Award from Chinese Engineer Association, Taiwan in 1991 and 1996 respectively. He also received the culture service award from Ministry of Education, Taiwan in 2008, Distinguished Scholar Award of KT Li from NCKU in 2009, IEEE Tainan Section Best Service Award in 2011, Innovation Education Award in 2013 Seoul International Invention Fair & special award from 2017 Kuwait International Invention Fair. Prof. Wang was also invited to give the Keynote Speeches in PACLIC 12 in Singapore, 1998, UWN 2005 in Taipei, WirlessCom 2005 in Hawaii, IIH-MSP2006 in Pasadena, USA, ISM2007 in Taichung, PCM 2008 in Tainan, 2011 ICAST in Dalian, China, 2011 ICSPCC in Xi'an, China, Keer2012 in Penghu, Taiwan, ICOT 2015 & ICOT 2016 in Hong kong & Australia respectively. He also served as an associate editor on IEEE Transactions on Neural Network and IEEE Transactions on VLSI System and Editor in Chief on International Journal of Chinese Engineering from 1995 to 2000. Prof. Wang's research area is mainly on multimedia signal processing including speech signal processing, image processing, VLSI system design and AI robots. Concerning about the publication, he has published about one hundred & forty journal papers on IEEE, SIAM, IEICE, IEE and about three hundreds international conference papers since 1983. Prof. Wang recently has explored the research on Orange Technology. Orange Technology refers to a newly evolved interdisciplinary research area for integration and innovation of health, happiness, and care technologies. The objective of Orange Technology is to bring more health, happiness and warming care to the society. The issues of modern society are diverse, such as war, terrorism, disparity and poverty, destruction of the global environment, quality of life in the medical and welfare fields, and the situation allows of no delay for resolution. The United Nations "Sustainable Development Goals (SDGs)" issued in 2015 emphasized that no one should be left behind while eradicating inequality in all its forms and dimensions and dealing with climate change. It is time to concentrate human intelligence and work on realizing “Creating Peace & Happiness for the world” while promoting social inclusion and respect for common values. The approach of Orange Technology proposed by ICOT is also a timely pioneering movement to try to solve the crisis issues of human beings from the field of technology, and to spread this movement worldwide, the construction of a network of researchers from all over the world is required. Based on that situation, in this lecture, first of all, I will introduce Asian ideas such as Buddhism, Taoism, Confucianism and the human view of religion with respect to how that human view should be part of Orange Technology. Originally human beings lived in suffering with limitedness, uniqueness, uncertainty, self-centeredness, etc. In their essence, a sublime ideal of creating a world that both oneself and others can enjoy happiness together emerges and working towards the realization of that ideal can have meaning as a way of living for human beings. Secondly, from the perspective of such Asian thought and human view of religion, I would like to consider these issues and the role and possibilities of Orange Technology. In other words, I would like to raise the question of how Orange Technology draws on the essence of human beings and how to develop their technology. Finally, I will introduce Musashino University’s brand statement “Creating Peace & Happiness for the World” and activities of Musashino University Creating Happiness Incubation a research institute established in July 2016 to realize our mission. 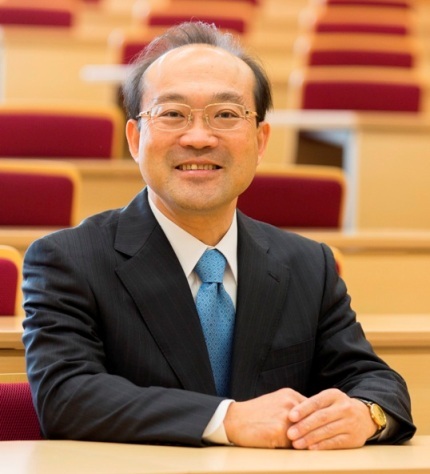 Biography: Prof Teruma Nishimoto is currently the president of Musashino University and the Chief Executive Officer of Musashino University Creating Happiness Incubation. He studied Humanities and Sociology and received his Ph.D. in Literature from the University of Tokyo in 1996. His career in education and research started at Musashino Woman’s University, the predecessor of Musashino University, from 1997. After several positions across the faculties, he was appointed as Professor of Human and Social Sciences in 2005. He has also spent time researching abroad, especially engaged as a Buddhist Studies Research Scholar of UC Berkeley Center in 2015. In 2016 he took office as President of Musashino University and in the same year, he established Musashino University Creating Happiness Incubation as a center of activity to realize our brand statement “Creating Peace and Happiness for the World”. Research and development on robotics has a long history over 30 years. In this talk, I will first examine today’s robotic technologies. Traditionally, the emphasis was on mechanic parts and integrated systems that enable stable, flexible and obstacle avoidance movement. Five state-of-the-art robots will be presented. They are Petman/Atlas, Cheetah, Spot, Pepper and ASIMO. The strengths and weaknesses of these robots will be discussed. Next, I will present my view on future robotic development in the next decade. Artificial intelligence (AI) has advanced rapidly in the last 5-6 years due to the maturity of deep learning. It will have a great impact to robotics. Specifically, AI will equip service robots with higher intelligence so that they can understand the surrounding environment and people better, and respond to their requests more properly. The market of domestic service robots will grow tremendously. Machine learning, computer vision, natural language processing techniques will play a critical role in fulfilling this goal. Biography: Prof C.-C. Jay Kuo received his Ph.D. degree from the Massachusetts Institute of Technology in 1987. He is now with the University of Southern California (USC) as Director of the Media Communications Laboratory and Dean’s Professor in Electrical Engineering-Systems. His research interests are in the areas of multimedia computing, computer vision, machine learning and deep learning. Dr. Kuo was the Editor-in-Chief for the IEEE Trans. on Information Forensics and Security in 2012-2014. He was the Editor-in-Chief for the Journal of Visual Communication and Image Representation in 1997-2011, and served as Editor for 10 other international journals. Dr. Kuo received the 1992 National Science Foundation Young Investigator (NYI) Award, the 1993 National Science Foundation Presidential Faculty Fellow (PFF) Award, the 2010 Electronic Imaging Scientist of the Year Award, the 2010-11 Fulbright-Nokia Distinguished Chair in Information and Communications Technologies, the 2011 Pan Wen-Yuan Outstanding Research Award, the 2014 USC Northrop Grumman Excellence in Teaching Award, the 2016 USC Associates Award for Excellence in Teaching, the 2016 IEEE Computer Society Taylor L. Booth Education Award, the 2016 IEEE Circuits and Systems Society John Choma Education Award, the 2016 IS&T Raymond C. Bowman Award, and the 2017 IEEE Leon K. Kirchmayer Graduate Teaching Award. 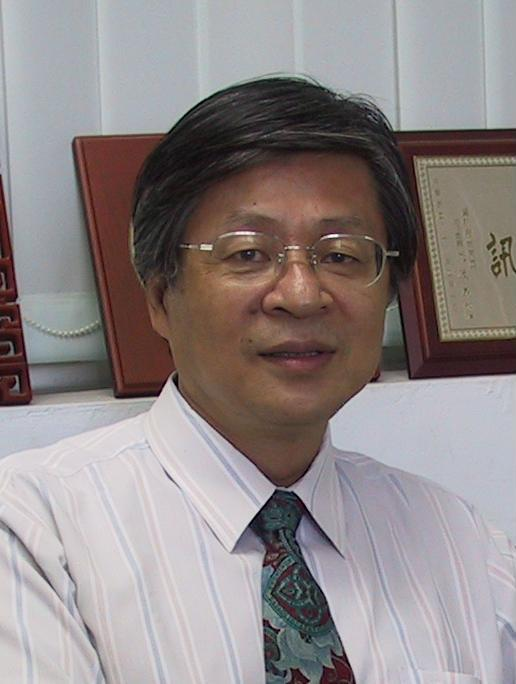 Dr. Kuo is a Fellow of AAAS, IEEE and SPIE. He has guided 140 students to their Ph.D. degrees and supervised 25 postdoctoral research fellows. 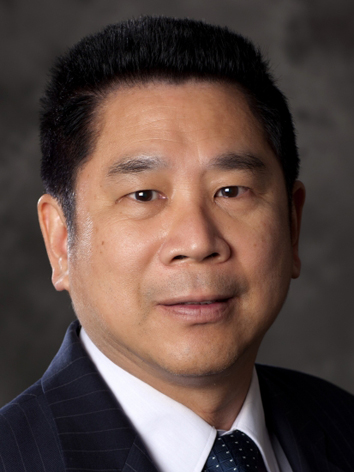 Dr. Kuo is a co-author of about 250 journal papers, 900 conference papers, 14 books and 30 patents.